What with the Olympics and all, I’ve been thinking about what athletes have to do to succeed in their sport. 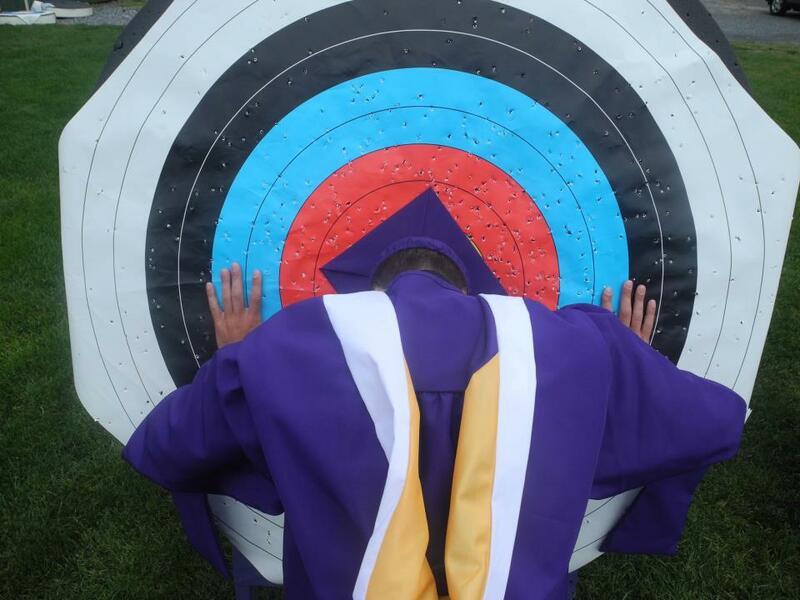 My son Bryan is vying for a spot on the U.S. Men’s Archery Team for the 2016 Rio Olympics, so the Sochi Olympics captivated my interest all the more. How do you get good enough to perform on a world stage? What does it take? Passion. Passion is the most important thing, and I heard this over and over again from the Sochi athletes: they love what they do. Loving your work makes it feel like you aren’t working. Not everyone is that fortunate but when you love your work, your passion helps you be your best at what you do. It’s why Bryan is willing to live the life of a pauper while he pursues his dream. He has the passion. And that’s true of any kind of work, not just athletic. I have always done my best work when I’ve loved what I was doing. Learning. Learning is a continual process. That’s why Olympic athletes have coaches. They learn from them, every day. 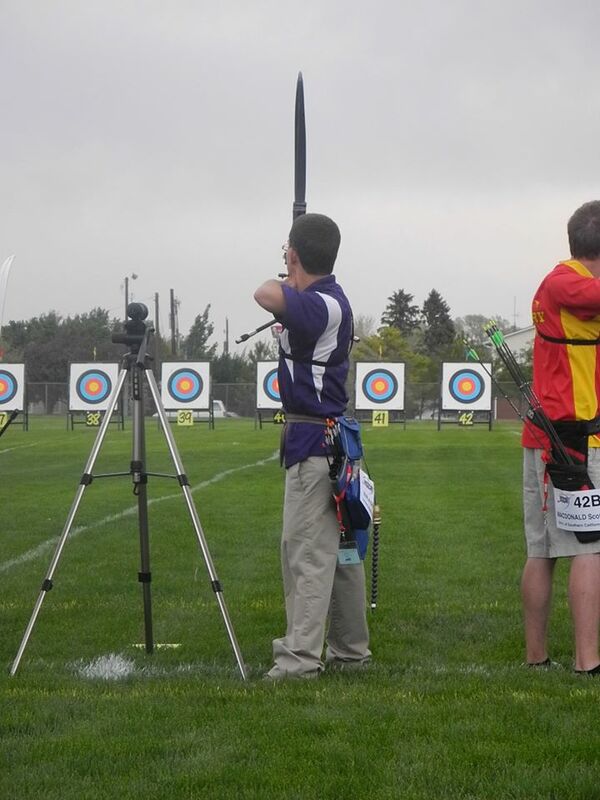 Bryan is learning from a friend of his, a silver-medal archery Olympian. And he’s learning from his coach, a man who has produced Olympians in the past. And, he reads. He reads a lot. He reads books like With Winning in Mind, and The Inner Game of Tennis as well as current material from sources like Archery Focus Magazine. He wants to learn more about how to keep himself focused. The same is true in marketing. Since Al Gore invented the Internet <joke>, marketing has changed dramatically. Does direct mail still work? You bet it does. But if you aren’t combining your offline strategy with an online one, you are leaving opportunities on the table. (Read about grabbing some of those pay per click opps here.) I worked at AOL for eight years and saw the business grow from one million to ten million subscribers. I was fortunate enough to work with some of the best marketing minds in the country, if not the world at that time. And I was like a sponge. I learned formative things during those years about taking risks, thinking outside the box (as corny as that sounds), about controlling your testing, watching the competition, and about how to understand your customer. Today I continue to read a lot. I read what Seth Godin has to say, I refer to Ries and Trout and David Ogilvy. And I read about what digital marketers like Joe Pulizzi, Ann Handley, and Mark Schaefer have to say. Why? Because you can’t stop learning. It’s a career killer. Sponsorships and Endorsements. In the sports world, sponsorships are huge. Monetarily the benefits for athletes are obvious, and for younger, newer athletes on the scene, sponsorships bring credibility. That’s how young athletes finance their training and competitions, if they’re lucky. It’s why Bryan knows he needs to shoot exceptionally well in the earlier tournaments this year. He wants to attract a sponsor as soon as he can so that at least some of his tournament trips will be paid for. Brands understand the value of sponsorships perhaps as well as athletes. If Bryan wears Lancaster Archery Supply branding or uses their equipment, the up and coming shooters see it at the tournaments. And their parents see it too and want to make sure their sons and daughters are using the same equipment that the exceptional athletes are using. It’s proven to be effective and benefits everyone involved. Many brands use spokespeople. It’s risky business because a spokesperson can ‘go bad.’ Doubters need just to remember O.J. Simpson and Hertz or Kobe Bryant and McDonalds. You can read about celebrity endorsement fails here. But the upside of celebrity endorsements is what they can do for a brand. It’s a simple concept: If a consumer likes a certain celebrity, and that celebrity likes a certain brand, then perhaps they too should like that brand. Movies continue to earn revenue from strategic product placements. It’s an implied endorsement when a star is drinking Coca Cola in his latest blockbuster movie. Word of Mouth. Why is this important in sports? Because of the section above – endorsements. Those ‘talked about’ athletes get the calls. Look at Gabby Douglas, the young, talented gymnast from the London Olympics. She lit up Twitter during the games. Her talent made people notice her, but her personality extended that conversation. Not only did Philip Krupp produce a Lifetime movie about her (view that here) but she is also doing a celebrity cruise competition on Royal Caribbean Cruise line with Tom Daley and Ian Thorpe. It’s big money. Word of mouth is marketing gold (tweet that!). And with the Internet, it can be immediate. Remember the old Faberge shampoo commercial where “they’ll tell two friends and they’ll tell two friends and they’ll tell two friends?” Never has that been a faster process than it is now. This concept is what is making advertising on Facebook, Twitter, Youtube and the like successful. Brands want their fans to ‘share’ something about their product, be it an ad, a video or a link to a coupon. Why? Because they’ll tell two friends, and they’ll tell two friends and before you know it, they’ve gone viral (if they’re lucky!). According to McKinsey and Company, word of mouth is the primary driver of 20-50% of all purchasing decisions. Here’s another impressive stat: When a website has customer reviews, 63% of purchasers are more likely to make a purchase (iPerceptions, 2011). Tweet that! And those are typically reviews by total strangers! Good Sportsmanship. There were a number of examples of this at the Olympics this year. Two of my favorite examples: when the gold medal winner waited almost half an hour to be able to shake the hand of the last place finisher in the cross-country ski event. And when the Canadian coach gave a Russian skier a new ski to replace the one he’d damaged during a cross-country race. Bryan has told me stories at the archery tournaments where a shooter has a broken piece of equipment and his fellow archers offer theirs as a replacement for use while shooting. These are young men and women who are competing against each other for a few top spots. Less competition makes it easier for them, but that doesn’t make them any less kind. You might ask what on earth that has to do with marketing. Remember the writers I referenced earlier? They are sharing their secrets for success. They don’t care if their competition reads it. Yes, they want to make a name for themselves or reinforce themselves as thought leaders, but they are happy to share their knowledge in the process. You can be the best. Remember to be passionate, keep learning, and understand how marketing tactics can help you shoot for the stars (pun intended).